We check out the new features, tables, and incentives to keep those pinball paddles going. Pinball lovers will have more ways of showing off their high scores with Pinball FX 2, a new platform that has been developed by Zen Studios. We call it a platform because the first thing we should point out is that Pinball FX 2 is not a game on its own but is free to download, and you can purchase tables after you've downloaded the game. This allows you to play your original Pinball FX tables that you bought for free, with upgraded graphics and physics, as well as score some new achievements. If you've never played Pinball FX before, you can always purchase and download the original tables, as well as the new ones designed for this platform. The reason Zen Studios went with a platform instead of a new game is that each Xbox Live Arcade game is limited to a set number of achievements and gamer points. By creating this platform, Zen Studios allows you to give each table you download its own set of achievements and gamer points; thus, you can continue racking up those achievements with each new table. There will be four new tables available at launch, with the option to download the nine tables from the previous game. Trial versions are available for each table, so you can test them out before committing. Some new features that have been added include a superscore, as well as a wizard score. Your superscore represents your overall performance across the entire game. This includes tournament performances, as well as scores from all the tables, new and old. Tournaments are held for a fixed amount of time where you can play a specific table as many times as you want for the highest score. By performing well, you'll get a bonus toward your superscore. A wizard score combines the superscores of all of your friends, which is meant to encourage people to build up a network of friends so that they can play with others. Gamer pics and avatar customization will also unlock as you build up your score. To keep an eye on the competition, you can now select other players on the leaderboard and see what kind of scores they have accumulated. As you play, you can have game challenges appear to let you know how close you are to increasing your superscore or see who has passed your score so you're constantly being updated. Hot seat multiplayer mode was featured before, but now you can play it across all tables. There is also split-screen multiplayer, so you and a friend can sit on a couch and play simultaneously to see who can reach the target point first. You have unlimited balls, but penalties can be set so each time you lose a ball, your score shrinks by a percentage. It's harsh, but it also ensures that you're not being sloppy. You can still play with up to four players online. There's a rule sheet for each table where you can check out the different game modes, missions, and targets. There are still secrets to discover, but the bulk of the goals are included. You can customize the controls to whatever scheme you're comfortable with, as well as go into the operator menu to adjust the pitch of the machine. You can also customize the table's rules and difficulty settings, similar to a real table. Other small changes include new camera angles, so you can zoom out, and the ball trails that were featured in Zen Pinball have been added, but it's optional. After listening to player feedback, you can now enter your initials when you achieve a high score on a specific machine. Pinball FX 2 looks to be an ideal way for pinball aficionados to get the tables they want and score some additional achievements. Look for it when it is released on the Xbox Live Marketplace on October 13. In Australia, the OFLC has rated a game called "Aero-Cross HighAir" developed and published by Namco Bandai. At the same time, GamerBytes reports that the German USK rated an Xbox 360 game called "Metro Cross HighAir GP," though that rating has since disappeared. The similar names suggest these two ratings are for the same game. The "Metro Cross" name in the German rating seems to indicate an updated (perhaps Pac-Man CE-like?) 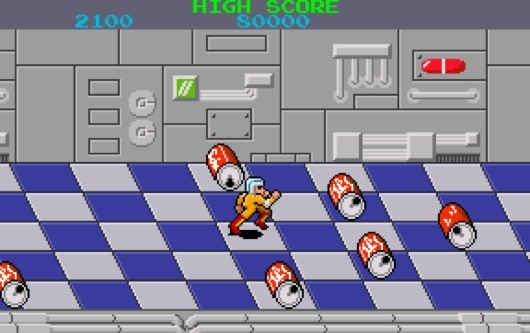 version of Namco's 1985 arcade game Metro-Cross, a side-scrolling foot race game in which players have to avoid giant rolling soda cans. However, it's hard to reconcile that concept with the name "Aero-Cross," so it should be interesting to see what Namco Bandai rolls out. Namco's 'Metro Cross' and 'Aero-Cross' rated originally appeared on Joystiq on Tue, 31 Aug 2010 13:30:00 EST. Please see our terms for use of feeds. Two DLC packs are set to liven up Split/Second this week (as if it needed any livening up). The Elite Vehicle Livery Pack adds new liveries for the Brawn, Vixen and Raptor cars and, as a nice bonus, it's free. Meanwhile, the High Octane Supercar Pack adds three new supercars and a new livery for the Ryback Cyclone. The High Octane Supercar DLC isn't free, but it's pretty close, clocking in at 160 MSP or $2 on Xbox Live and PSN, respectively. Both DLC packs should be available today on Xbox Live, though currently only the Supercar Pack is listed (along with an unannounced Ryback Cyclone Special Edition pack). 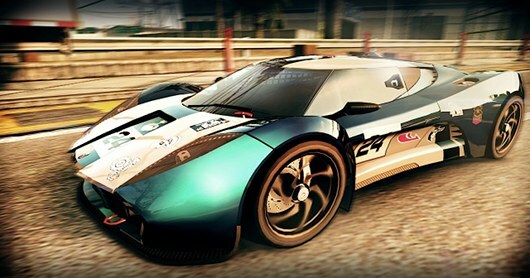 The Livery and Supercar DLC are slated to hit PSN tomorrow, September 1. Two new DLC packs crash into Split/Second originally appeared on Joystiq on Tue, 31 Aug 2010 13:00:00 EST. Please see our terms for use of feeds. "Plants versus what now?" is what you'll be saying on September 8 when XBLA plays host to Dance! It's Your Stage, a port of a German Wii game developed by Sproing. According to the dev's website, you'll "practice 20 unique choreographies and dance your way up from the Street Stage all the way to the TV Studio" all under the watchful eye of Detlef D! 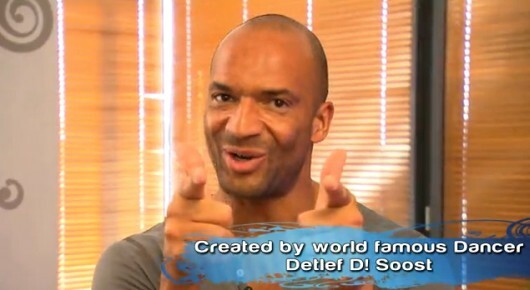 Soost, who's basically like our favorite German dancer/choreographer. So you can keep your wonderful, wonderful game, PopCap. We plan on being a little busy dropping $10 for a reason to dust off our DDR mats and churn out some dance butter. (That's something the kids are saying now, right? Churning out dance butter? That's a thing, we're pretty sure.) Click here for a sneak peek that's sure to get your dance milk solidifying. Dance! It's Your Stage gets crunk on XBLA Sept. 8 originally appeared on Joystiq on Tue, 31 Aug 2010 12:52:00 EST. Please see our terms for use of feeds. Microsoft offers this suggestion for how you might use the two D-pad configurations: "Select the traditional plus for distinct cardinal direction movement in games like Halo: Reach to change weapons and perform complicated combinations and deadly finishing moves in Street Fighter games, or rotate the D-pad to the disc format for sweeping motions in games such as Pro Evolution Soccer 2011." The redesigned controller will only be available with the Play & Charge Kit. The bundle will launch on November 9 for $64.99. New Xbox 360 controller with twist-up D-pad coming Nov. 9, bundled with charge kit for $65 originally appeared on Joystiq on Tue, 31 Aug 2010 12:35:00 EST. Please see our terms for use of feeds. 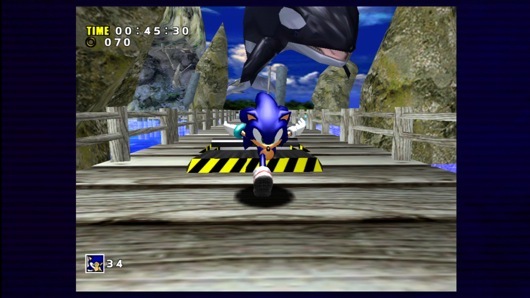 The first (but certainly not last) Dreamcast title to arrive on Xbox Live Arcade is, appropriately enough, the fastest. Major Nelson's latest schedule for the platform has revealed a September 15 release date for Sonic Adventure, which will be available for 800 Microsoft Points ($10). No word yet on the release plans for Sega's other previously announced Dreamcast revival, Crazy Taxi. We've contacted Sega to find out if the game will arrive on PSN on a similar timetable. We also sent them an email with the subject line "Give us Seaman," followed by a body of text which simply read, "SEEEEEAAAAAAAAMAAAAAAAN." Sonic Adventure arrives on XBLA September 15 for $10 originally appeared on Joystiq on Tue, 31 Aug 2010 12:30:00 EST. Please see our terms for use of feeds. 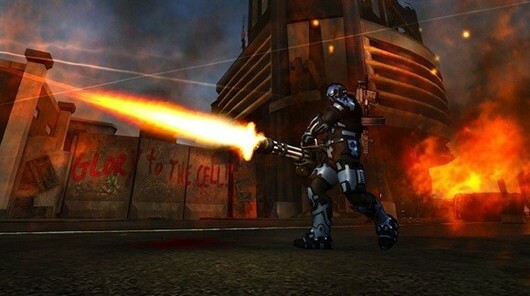 Anxious to 'splode more stuff in Crackdown 2? Well, on September 2, you'll be able to access the "Toy Box" DLC pack. The DLC will come in two different flavors: as a free download, players can access the "Keys to the City" cheat unlock, the "Thruster" ability and a new multiplayer mode called "Vehicle Tag;" or agents can shell out 560 MS Points ($7) for an enhanced version including five new weapons, two new vehicles, a couple of Avatar items and 10 additional Achievements to unlock. Crackdown 2's 'Toy Box' DLC hits the streets on September 2 originally appeared on Joystiq on Tue, 31 Aug 2010 12:27:00 EST. Please see our terms for use of feeds. Major Nelson has announced the lineup for Microsoft's XBLA "Game Feast" promotion, and, well, we suggest having a metaphorical Tums on hand in anticipation of this smorgasbord. The first course, on September 29, is Hydrophobia for 1,200 Microsoft Points. 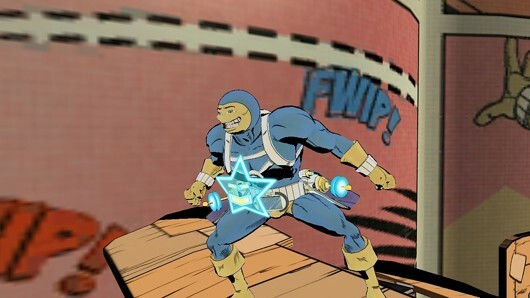 Twisted Pixel's Comic Jumper follows on October 6 at the same price. Pinball FX 2 will be available October 13. It's free, and can import tables from the first Pinball FX, with each additional table purchased individually. Finally, as discovered earlier this morning, Super Meat Boy will serve as (a kind of disgusting) dessert on October 20. No price has been announced yet. Gorge on Comic Jumper, Hydrophobia, Pinball FX 2, and Super Meat Boy in XBLA Game Feast originally appeared on Joystiq on Tue, 31 Aug 2010 12:25:00 EST. Please see our terms for use of feeds. Imagine that you're a diehard fighting game enthusiast who's cursed with a love of a conventional controller's directional pad, but also an arcade stick's clicky, satisfying buttons. No controller has ever met your odd, bipolar needs -- until now, that is. Behold: The Frankensteinian peripheral seen above, crafted by modder "rtdzign" from a Sega Saturn control pad and some homemade arcade buttons. You can check out a few more pictures of the mashed-up controller on Shoryuken. The question that remains is what you'd call this bad boy. An "Arcade Pad?" A "Control Stick?" A "Stick Pad," perhaps? How about "Gorgonth, the Combiner and Destroyer of Worlds?" No, that's a tad wordy. 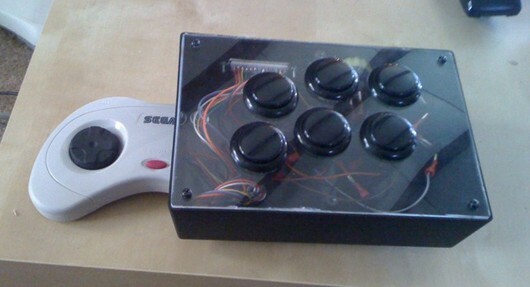 Modder creates controller fighting pad with arcade stick buttons originally appeared on Joystiq on Tue, 31 Aug 2010 11:55:00 EST. Please see our terms for use of feeds. After the Betrayal of Jimmy, it only makes sense that Mafia 2 players would be present for Jimmy's Vendetta. 2K Games announced today that the next piece of Mafia 2 DLC will be available on September 7 for $9.99 on PC and PS3, and 800 Microsoft Points on Xbox 360. "Jimmy's Vendetta" adds "more than 30 new quests and leaderboard ranking" as players step into the role of Jimmy, taking care of business left unfinished by other mobsters. As you progress through the series of assassinations and car chases, we'll find out if the storyline sets up our idea for the next content pack, "Let's Leave Jimmy Alone for a While, He's Had Kind of a Rough Couple of Days." 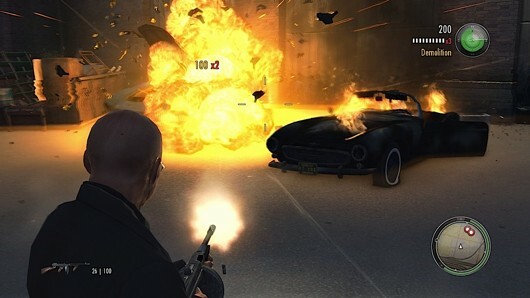 Mafia 2 faces Jimmy's Vendetta on September 7 originally appeared on Joystiq on Tue, 31 Aug 2010 11:15:00 EST. Please see our terms for use of feeds.